KRISP News: Newsletter, Oct 2013: News, blogs, manuscripts & Youtube videos! Newsletter, Oct 2013: News, blogs, manuscripts & Youtube videos! 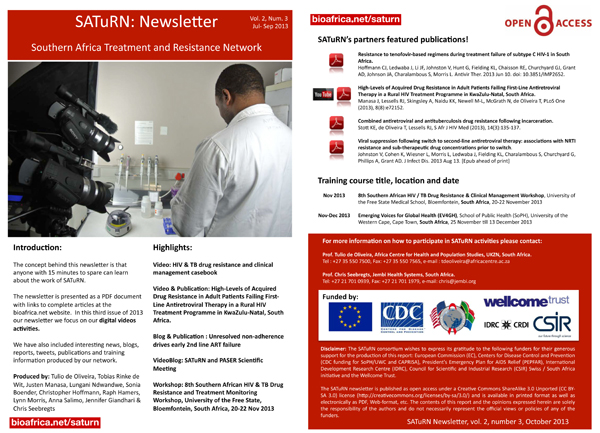 Video & Publication: High-Levels of Acquired Drug Resistance in Adult Patients Failing First-Line Antiretroviral Therapy in a Rural HIV Treatment Programme in KwaZulu-Natal, South Africa.